Discover everything there is to know about The LEGO® Batman Movie™ in one awesome collection. 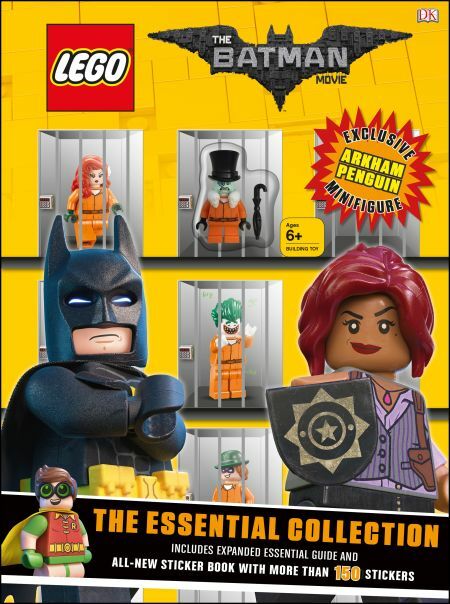 Get two exciting movie tie-in books, The LEGO Batman Movie: The Essential Collection and The LEGO Batman Movie Ultimate Sticker Book all together in a slipcase. Start off with an expanded edition of The LEGO Batman Movie: The Essential Collection which is the perfect companion to LEGO Batman's first solo movie. Explore the heroes, villains, vehicles and locations through images from the movie. Then discover fun and informative captions with a range of engaging stickers in a brand new The LEGO Batman Movie Ultimate Sticker Book, focused on the villains of Gotham City with full-color stickers that can be used to create a reference book you will want to keep. Copyright © 2017 DC Comics, WBEI & The LEGO Group. THE LEGO® BATMAN MOVIE © & ™ DC Comics, Warner Bros. Entertainment Inc, & The LEGO Group. LEGO, the LEGO logo, the Minifigure and the Brick and Knob configurations are trademarks and/or copyrights of the LEGO Group.